Dentist West Loop Chicago: Welcome Back! Time To Visit The Dentist Again? Going to the dentist can be a nightmare for some people, particularly if they have bad teeth. Some of us just can’t help it and they are cursed with teeth that are more susceptible to cavities and other nasty ailments. This is when a competent dentist can be them most important person for maintaining a healthy smile. But what if it has been quite a few years since you have been to the dentist? 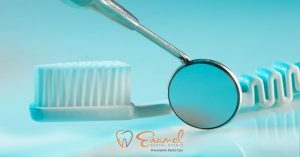 Clearly you need to find a dentist that you feel comfortable with, and if you are in West Loop, Little Italy, Pilsen or Fulton Market that dentist is Enamel Dental Studio. 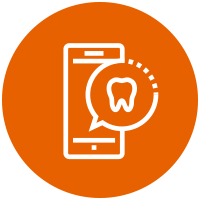 We offer a complete range of common dental services including implant dentistry, Invisalign®, fillings and crowns. Dr. David Choi and his team of hygienists, office and support staff are committed to providing you with a casual, caring dental experience. We truly car about you and your dental health. 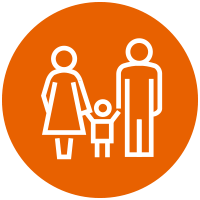 We strive to make every patient comfortable and provide education to ease any anxietys that may linger in the patient’s mind. We are truly a dentist for the new generation and look forward to forming lasting partnerships with all of our patients. So if it has been a long time since you have darkened the door of the dentist you may not know that much has changed. First of all, technology has become a major driving force behind everything we do. 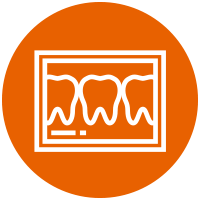 With everything from X-Rays to diagnostics we rely on a combination of technology and good old fashioned dental skill to ensure an exceptional experience. We are not a dentist that treats only tooth problems but we address the anxiety of the patient. If the patient simply cannot get over the fear, no problem! We offer sedation dentistry and nitrous oxide to make the procedure much more pleasant. Whatever your dental issues we can fix them. Even if you need a crown. 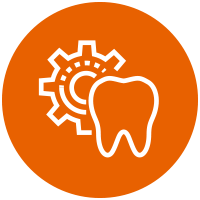 The standard practice when a tooth has decayed and broken down more than a filling can fix, is to mount a crown over the tooth. The way a crown works, is a tooth is shaped to accommodate a specially made cover that takes the place of the surface of the tooth. Generally the process takes a couple of visits but it is worth the wait. 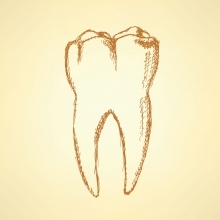 Initially the tooth is shaped into a configuration that will accept a temporary crown. This is necessary because the permanent crown will take a few weeks to manufacture. After the crown is complete the dentist removes the temporary crown and will mount the permanent one and the patient is good to go. Before the process is started, it is up to the patient which material the crown will be made of, generally the choices are porcelain, ceramic and gold. There are advantages and disadvantages to each but generally they are pretty much equal. Many people prefer the look of porcelain and ceramic as these materials are designed to fit in with the natural color of the surrounding teeth. The problem with these crowns is that they are not as strong as the gold option. Porcelain and the ceramic are excellent for maintaining the look of your real smile. Gold, on the other hand is an exceptional choice for your back teeth simply because of how durable it is and there is nothing more awesome than a gold tooth. Gold takes a bit longer to craft into a crown and the wait may be a little longer but the benefits outweigh the time it takes. Gold is an exceptional material to use for a tooth and it is said that gold will last much longer than a porcelain or ceramic as it is not prone to chipping or cracking. Just because you have crowns does not mean that they need little maintenance, in fact much more care must be taken to maintain their integrity. Proper flossing, brushing and all of the other dental hygiene practices should be followed. So enjoy your new crown and if you have a gold one, put a little strut in your step because that is pure cool. We look forward to hearing from you and thank you for your business!